An exhibition at London's Tate Modern Museum is aiming to encourage empathy toward migrant struggles. 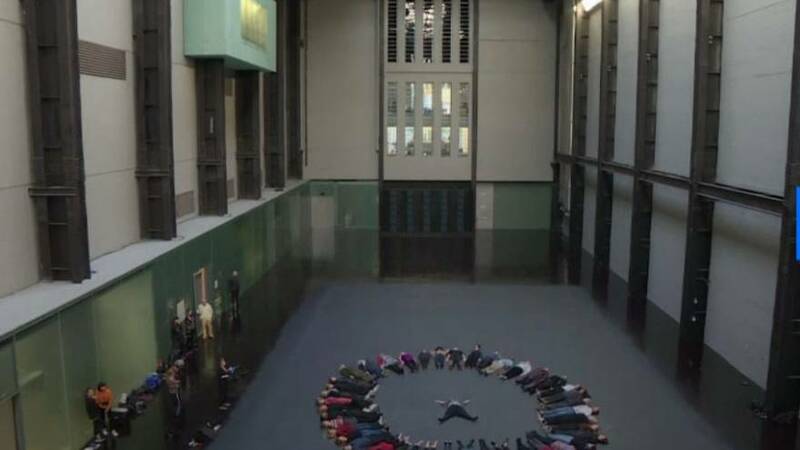 A layer of temperature-sensitive floor covers the great expanse of the gallery's Turbine Hall, allowing visitors to leave their mark upon laying down. Low-frequency sounds fill the space, creating a sense of unease among visitors while the "Crying Room" is filled with an organic chemical compound which induces involuntary tears to all who enter. Cuban artist and activist Tania Bruguera created the exhibition and said that the vastness of Turbine Hall creates a sense of "emptiness". As the political debate on immigration rages on, Bruguera is hoping that her work can help trigger a change of direction in the immigration conversation. "I think we are in moments of a lot of danger because politicians are in a way taking away the functions of institutions and using fear to control people politically," she warned. Bruguera also aims for her exhibition to trigger an emotional response among visitors. "It is a call in a way to remember that we have to work all together, even if we think differently, politically, even if we are from [a] different generation, culturally, ethnically, politically, we have to work together," she said. The display represents the fourth annual Hyundai Commission where an international artist creates a site-specific exhibit within Turbine Hall. Launched today, this year's exhibit will be on display until February 24. EU leaders have been at loggerheads as to how to tackle the migration crisis, which peaked in 2015 when around 1.2 million asylum seeker applications were made.